The DroneBoy team recently returned from the InterDrone conference in Las Vegas, NV and what an amazing experience we had! 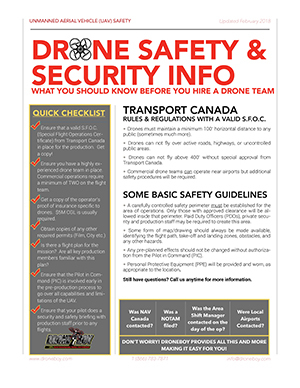 Flying and working in Canada most of the time it is easy to assume that the drone business is small and somehow not this global phenomenon that we often read about. Well, I can tell you from our experience at InterDrone that this is definitely NOT the case south of the border and on the world stage. The conference was amazing with presenters, companies and industry leaders from all over the planet. The entire Rio Hotel convention center was literally buzzing with energy and excitement, not to mention the sound of drones flying everywhere (in carefully constructed flying ‘cages’ of course). We had the good fortune of partnering with our friends at The Drone Depot and Canadadrones for this adventure in the desert. Due to this relationship we found ourselves representing DJI at the DJI booth, which was amazing because the DJI booth was definitely the center of attention at the convention, especially after the X5 announcement. It was a great experience to meet and talk with so many drone professionals and enthusiasts alike, and we learned so much about what is happening all over the planet in this exploding new technology. When we weren’t talking drones we were flying them in the demo area. I was surprised at how many people had not actually seen a drone fly close up, and it was a good reminder for me of how amazing they are. The way people’s faces lit up when the DJI Inspire 1 or Phantom 3 lifted off the ground and hovered so precisely even indoors with the Vision Position System always surprised people. It was a very handy tool as a pilot too as it meant I could answer all the questions without constantly adjusting my hover pattern. All this because of a technology that didn’t even exist a year ago! We made so many great contacts and learned so much. Yes, Vegas really showed us where the drone industry is going, and it really is up, up and away! I for one can’t wait to see what will be available this same time next year. See you at InterDrone 2016!